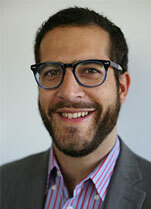 Diego Pirillo (Ph.D., Scuola Normale Superiore) is Associate Professor of Italian Studies at the University of California, Berkeley, and affiliated faculty in the Center for the Study of Religion, the Institute of European Studies, the Program in Critical Theory, and in Renaissance and Early Modern Studies.He specializes in the cultural and intellectual history of early modern Europe and the Atlantic world, with an emphasis on Italy, England and early America. His research interests include religious studies, the history of books and readers, the history of diplomacy and international relations, and the history of scholarship and historiography. He has been a fellow at Villa I Tatti (the Harvard University Center for Italian Renaissance Studies), and his work has been supported by many institutions (The John Carter Brown Library, The Hellman Foundation, The UC Berkeley Institute of International Studies, the Newberry Library, The Rare Book School at UVA, and the Fondazione Giorgio Cini, among others). 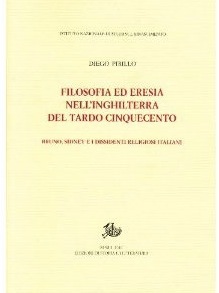 Along with several articles and book chapters, he is the author of Filosofia ed eresia nell’Inghilterra del tardo Cinquecento: Bruno, Sidney e i dissidenti religiosi italiani (Rome: Edizioni di Storia e Letteratura, 2010) and (with O. Catanorchi) of Favole, metafore, storie. 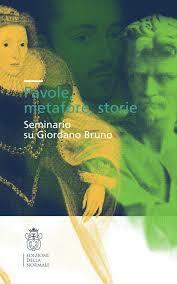 Seminario su Giordano Bruno (Pisa: Edizioni della Normale, 2007). 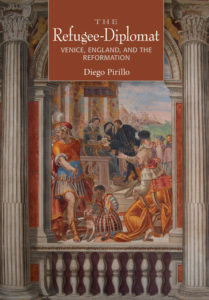 His latest book The Refugee-Diplomat: Venice, England and the Reformation (Ithaca: Cornell University Press, 2018: http://www.cornellpress.cornell.edu/book/?GCOI=80140109005990) offers an alternative history of early modern diplomacy, centered not on states and their official representatives but around the figure of “the refugee-diplomat” and, more specifically, Italian religious dissidents who forged ties with English and northern European Protestants in the hope of inspiring an Italian Reformation. Through diplomatic and mercantile letters, inquisitorial records, literary texts and marginalia, The Refugee-Diplomat recovers the agency of religious refugees in international affairs, revealing their profound impact on the emergence of early modern diplomatic culture and practice. He is also starting a new book project (tentatively entitled The Atlantic Republic of Letters: Quakers, Merchants and Bibliophiles in Early America) that studies the transatlantic circulation of books and scholarly information in the long eighteenth-century and frames the Republic of Letters as an international community that stretched across the Old World and the New just as it traversed religious borders in confessional Europe. Among his most recent articles are “Espionage and Theology in the Anglo-Venetian Renaissance” in Mediterranean Studies (2017) and “Renaissance Peace Movements,” in A Cultural History of Peace (Bloomsbury Publishing, in press). For a complete bibliography of publications, click here.